As most South Africans know, there is an ongoing competition between between Cape Town and Johannesburg. 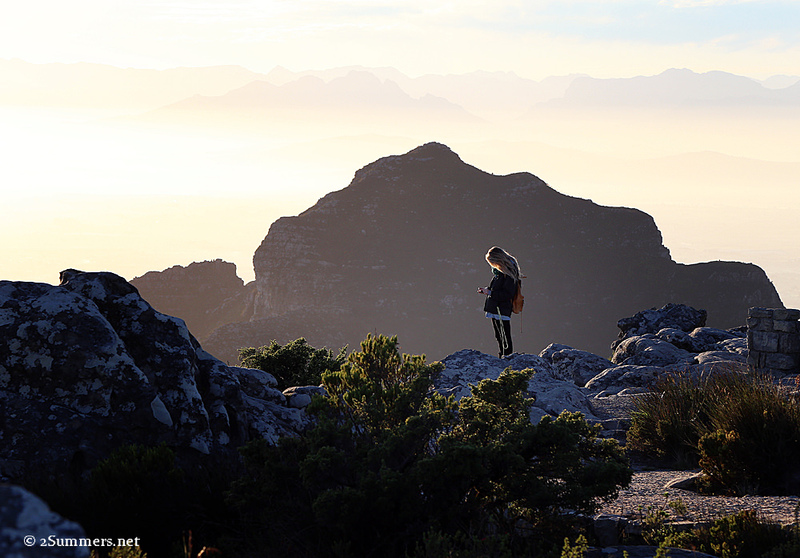 Capetonians believe their city is the best place to live and would never live anywhere else. Joburgers believe the same. This my-city-is-better-than-your-city debate (i.e. trash-talking) gets heated at times. Joburg is my adopted home and I’m firmly in the Joburg corner. But like everyone else in Joburg, I can’t ignore the obvious: Cape Town is a fantastic place for a holiday. Cape Town is beautiful. This photo was shot from the Old Biscuit Mill in Woodstock. So when I was invited to spend a weekend in the Mother City as part of Cape Town Tourism’s #HelloWeekend campaign, I said yes. The purpose of the campaign is to showcase Cape Town as a year-round weekend tourist destination for people in other South African cities. In my case, the campaign totally worked. Ray and I spent 48 hours in Cape Town and had the time of our lives. There’s something about the pace of the city that allows you to pack a ton of fun activities into a short period of time without getting tired. We did so much, in fact, that I can’t recount it all in a single blog post. I’ll give a quick summary now and write in-depth about a few of our experiences later on. The weekend started in a suite on the 11th floor of the Southern Sun Waterfront. I must confess: I used to turn my nose up at big-chain hotels and say I’d prefer to stay at small guesthouses and B&Bs. I still love me a quaint B&B, but there’s also something to be said about a nice chain hotel with all the extras. I had high expectations of the Southern Sun Waterfront after my stay at the Four Seasons Westcliff in Joburg, and the Southern Sun totally measured up. Our room was luxurious and perfectly located in the centre of town. 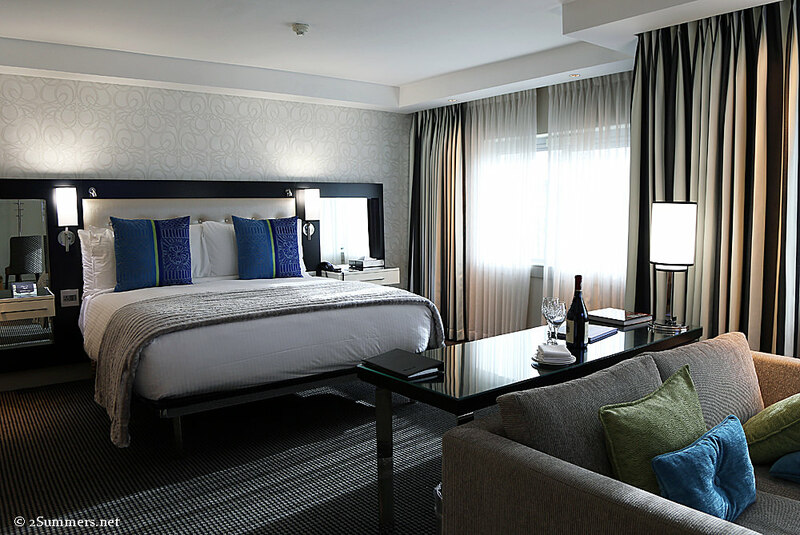 We could have spent the whole weekend simply lounging in our suite. Our suite at the Southern Sun Waterfront. We didn’t linger in the room for long though. After a quick sandwich we caught the hotel shuttle to the Two Oceans Aquarium. One of many entrancing fish tanks at Two Oceans. 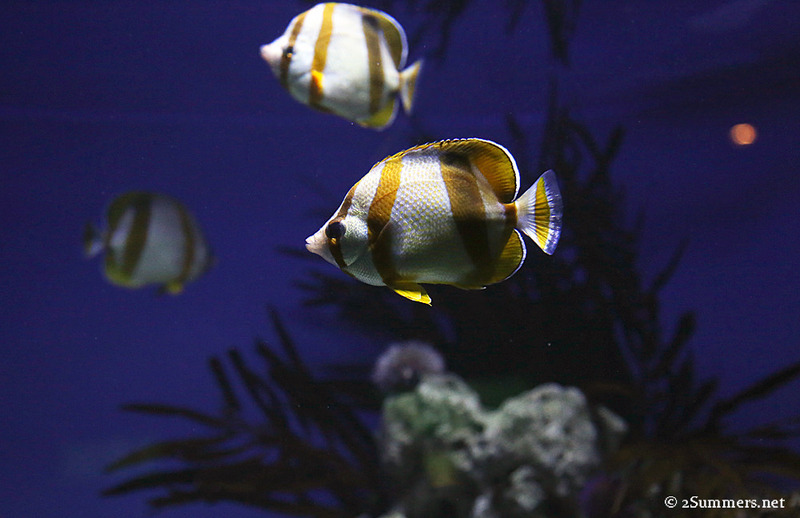 I had never been to Cape Town’s aquarium and it had never occurred to me to go. But Ray suggested it when he found out we were staying at the Waterfront and I’m glad he did. I loved it and I took far too many pictures to share in this post. I’ll write a dedicated Two Oceans post later. On Friday evening we had dinner at a restaurant called Charcoal. This was a really fun dinner because we were able to invite a few of our Cape Town friends and enjoy the meal with a group. I should mention that food was the main focus of my weekend in Cape Town. 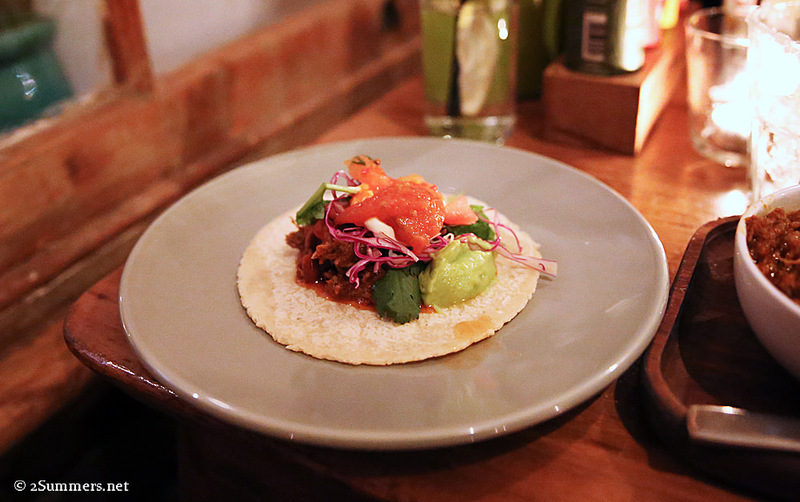 I seem to have earned myself a reputation as a foodie blogger, so Cape Town Tourism designed my itinerary around culinary experiences with a few other fun activities mixed in. The Charcoal dinner was our first food installment. I would describe Charcoal as a typical upscale Cape Town foodie restaurant, with a constantly rotating menu, a nice wine list, and beautiful artwork on the walls. I had grilled kingklip with lemon cream sauce for my main (it’s always nice to eat seafood on the coast) and a delicious Belgian waffle with chocolate ice cream for dessert. 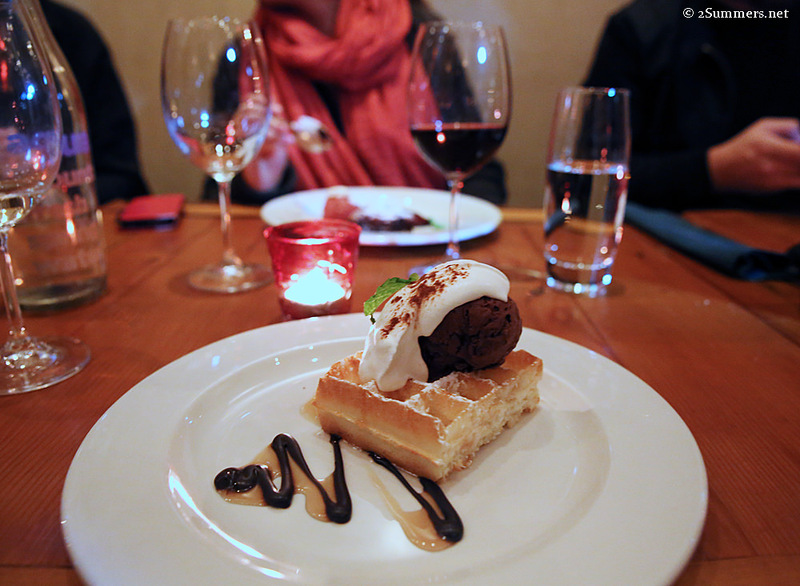 Dessert was definitely the highlight of this meal. 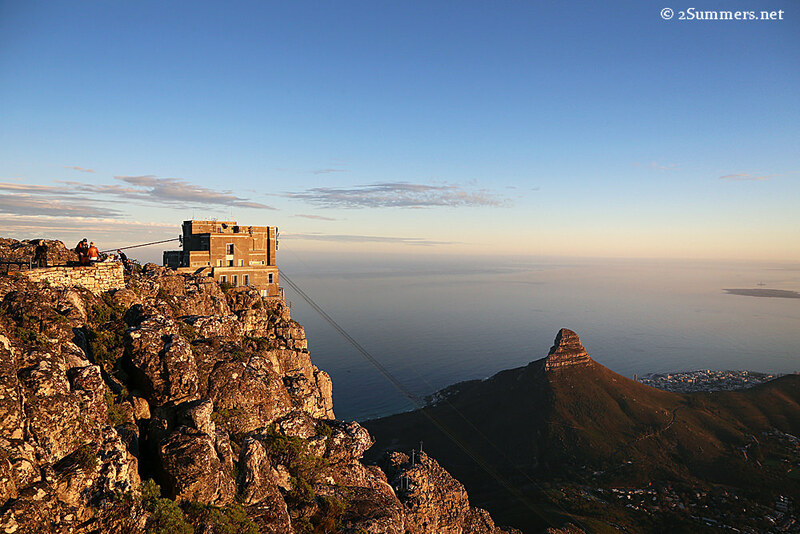 Early Saturday morning, Ray and I were invited with a bunch of other Instagrammers to go to the top of Table Mountain. Table Mountain is Cape Town’s premier tourist attraction and this was an amazing opportunity to go up at sunrise, before it opened to the general public. (Fortunately the sun rises very late in Cape Town during winter — after 7:30 — so we didn’t have to get up too early to catch it.) I’ve only been up Table Mountain once before, several years ago, so I had a great time reacquainting myself with the incredible views. Top of Table Mountain at about 8:00 a.m. We took the cable car up — I still need to hike up there someday. Instagramming from the top of Table Mountain. After Table Mountain we headed to the Neighbourgoods Market, at the Old Biscuit Mill in Woodstock, for breakfast. 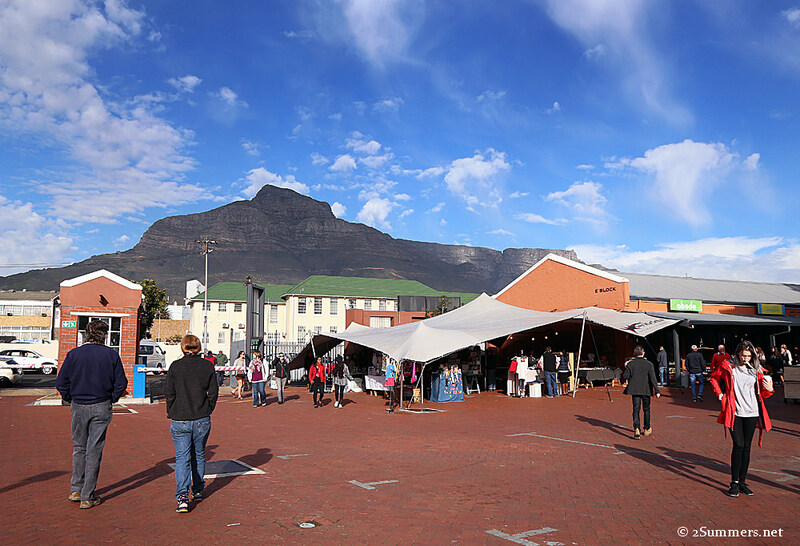 This was my first time visiting Cape Town’s Neightbourgoods Market (there is a Neighbourgoods Market in Joburg too) and I enjoyed the relaxed vibe there. It felt less crowded and less hipster-y than the Joburg market (probably because it’s off-season and we were there early) and I loved the food we ate. 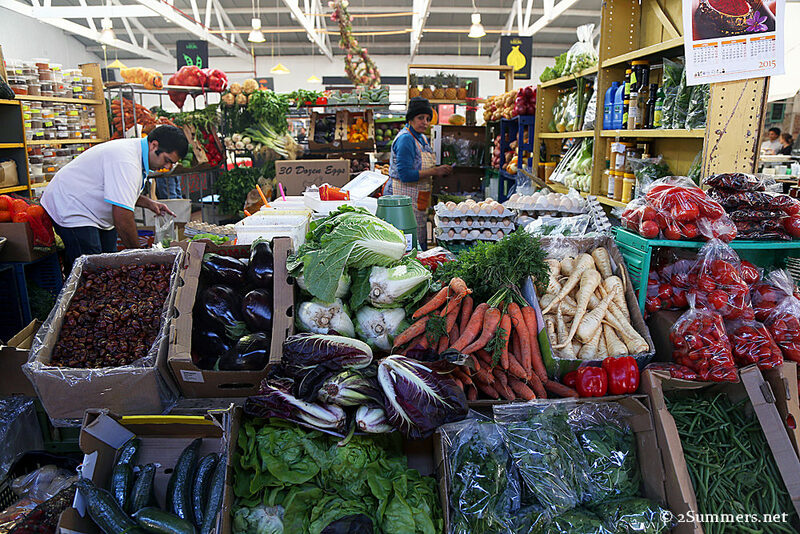 Unlike the Joburg market, the Cape Town Neighbourgoods market has a nice selection of fresh produce. 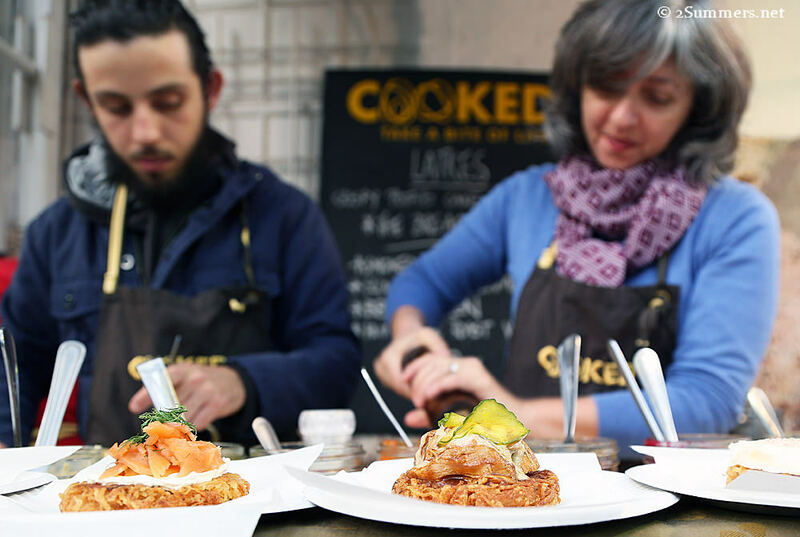 A Cape Town friend told us we had to try the potato latkes from Cooked in the market. He was right — one of the best things I ate all weekend. Our next stop was the Bo-Kaap, my favorite neighbourhood in Cape Town, for a Cape Malay cooking class with the wonderful Faldela Tolker. 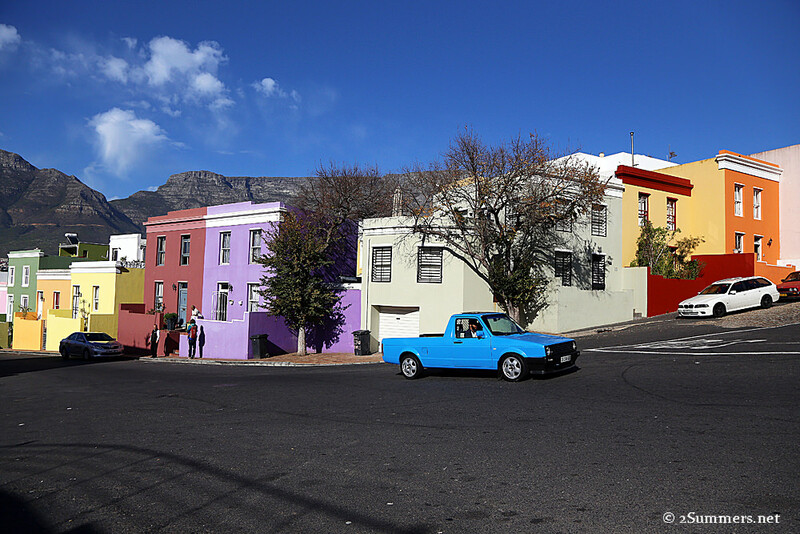 The beautiful Bo-Kaap. You can just see Faldela standing on the stoep of her purple house. 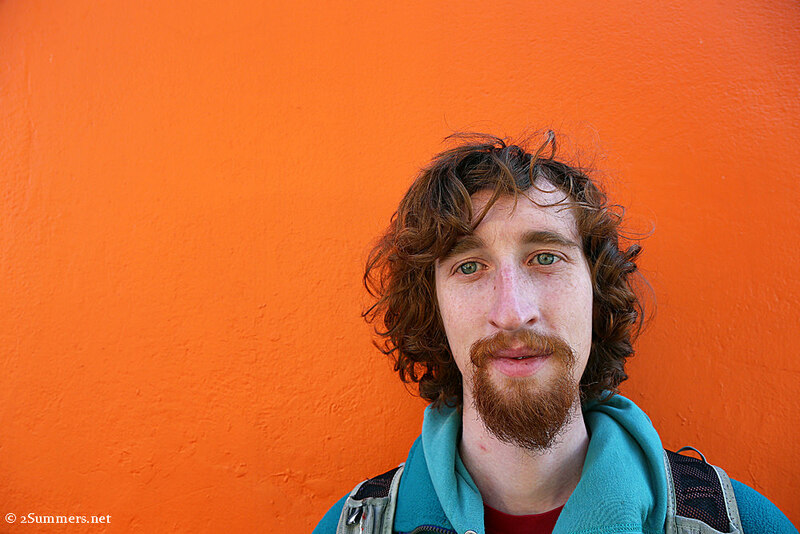 Before the cooking class, we took a walk around the Bo-Kaap and I took Ray’s picture in front of an orange house. Our Cape Malay cooking class was a one-of-a-kind Cape Town experience and again, I have too much to say about it to share in this post. Stay tuned. I also don’t want to give away too much about our dinner on Saturday night. I will say this though: It was the best Cape Town restaurant experience that I’ve ever had. This photo will provide a hint of where we went. Manna Epicure is known for its bread. 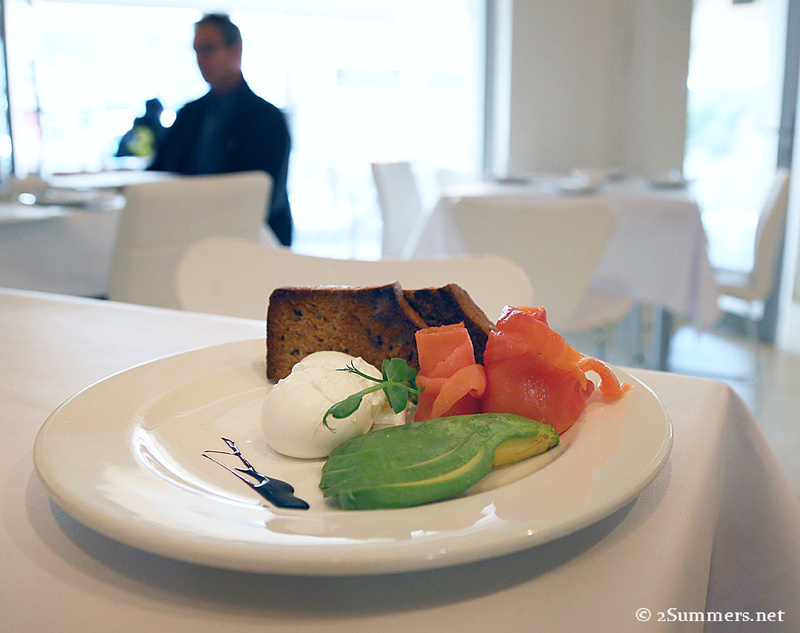 This is the “Coconut Breakfast” — poached eggs, avocado, smoked salmon-trout (trout that tastes like salmon) and coconut bread. The bread was indeed amazing. I also enjoyed the soothing white decor in the restaurant. And just like that, our 48 hours in Cape Town came to an end. Ray and I both agreed that it was the most fun either of us have ever had in Cape Town. 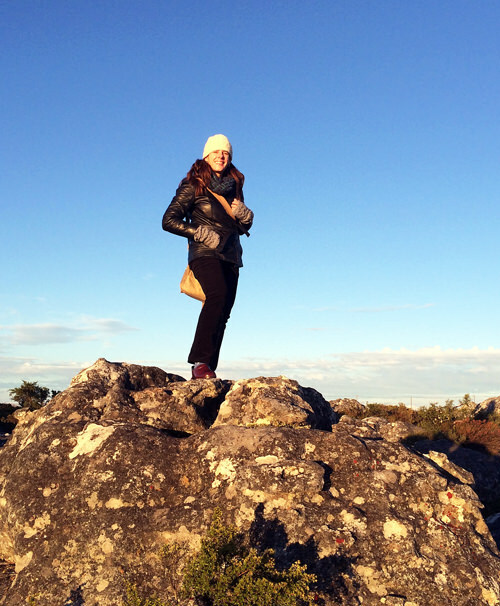 And by the way, it really wasn’t cold at all — definitely warmer than Joburg was last weekend. Thanks again to Cape Town Tourism and #HelloWeekend for the fantastic trip. If you’d like to book a winter weekend in Cape Town, visit helloweekend.capetown. My trip was provided courtesy of Cape Town Tourism. Opinions expressed are my own. I had a look around your blog. Quite the journey! I’m a bookish blogger in mid-life looking to spend a few weeks on the other side of the world from a lot of recent stresses in my life. I enjoyed a having a look at your shots! Haha, no, you won’t find it cold here at all. You’ll love it! Where on the Eastern Cape are you going? I’m in the Wild Coast now and the weather is beautiful. I so excited! I am going to a small seaside village called Seavale, I think about 40 minutes from East London. I have a good friend there – plan to spend a lot of time sitting on the stoep talking, walking her dog on the beach and maybe take in Addo. I’ve been watching the weather and it looks great.